The poor prognosis of cardiac sarcoidosis (CS) underscores the need for risk stratification. 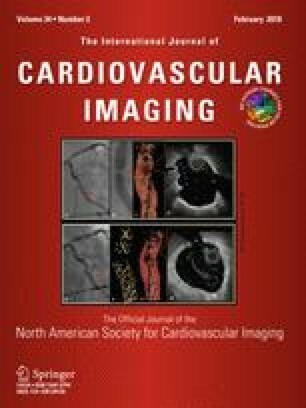 We evaluated 84 consecutive sarcoidosis patients who were referred for echocardiographic studies for cardiac symptoms or abnormal electrocardiograms. In 54 patients without previous diagnosis of CS or other known structural heart disease, 13 reached endpoints during (median) 24 months follow up. Significantly impaired peak systolic longitudinal strain in their original echocardiograms were identified in 13 of 17 left ventricular segments, clustering in the free wall, interventricular septum and apex. The regional (including 13 clustered segments) peak systolic longitudinal strain (RPSLS) were significantly impaired in patients with endpoints, compared with those without [(−11.4 ± 4.45) vs. (−18.7 ± 3.76) %, P < 0.00001]. Cox multivariate regression analysis revealed that RPSLS was independently associated with endpoints (HR 1.24; 95% CI 1.08–1.42, P = 0.002). Receiver operating characteristic curve suggested a cut-off RPSLS value of −15.0% (84.6% sensitivity and 86.8% specificity) to predict the occurrence of endpoints. Impaired RPSLS correlates with risk of adverse cardiac events in patients with extra-cardiac sarcoidosis. Drs. Jian Chen and Juan Lei have equally contributed to this article. Availability of data and material: Please contact author for data requests. KL, MCI, and JFW: Conception and design of the study; JC, JL, ES, MM, DF, RV: acquisition and analysis of data; JC, JL, ES, MM, DF: interpretation of data; KL, MCI, JFW, JL: drafting the work. This study is approved by institutional research board of Human Subjects Committee of State University of New York Upstate Medical University.